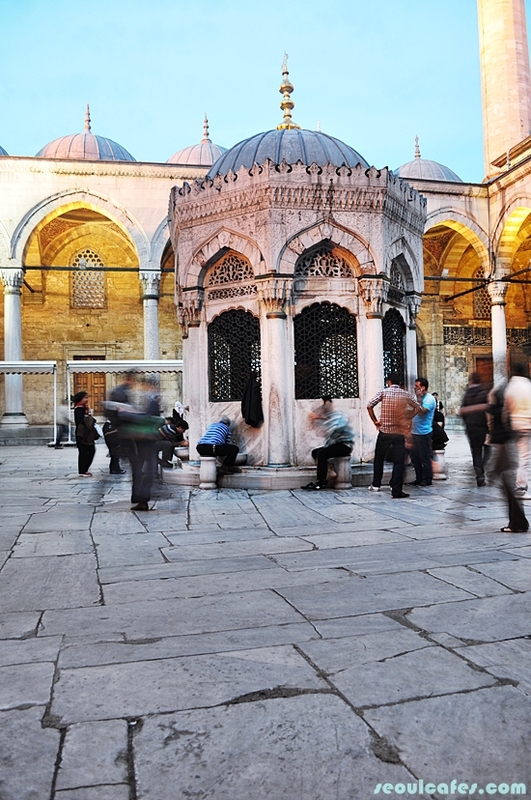 Our 2 weeks journey started from Athens to Sifnos (Greek island), back to Athens, and our last stop, Istanbul. 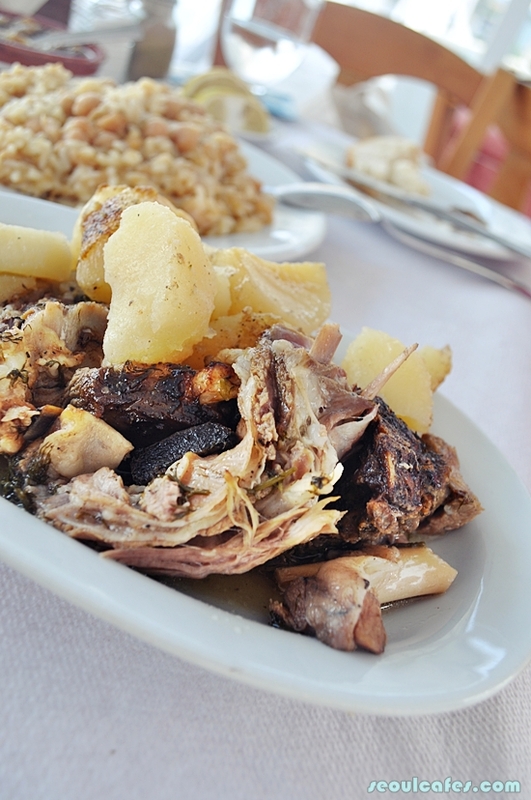 As the days came nearer to the end, I didn't want to stop discovering new sites and eats. I'll get used to being back to the norm very soon! But for now, I'm going to reminisce the good times! 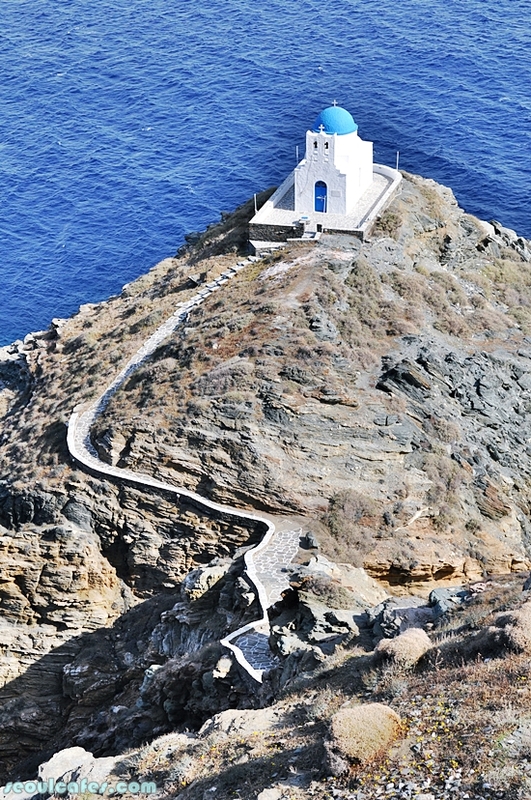 My favorite part of the trip was the Greek island called Sifnos. The island is purity itself. We were warmed with "Yassas!" (hello) from the friendly locals and the cats followed their warmth with their very giving belly rubs that we never had to work for. 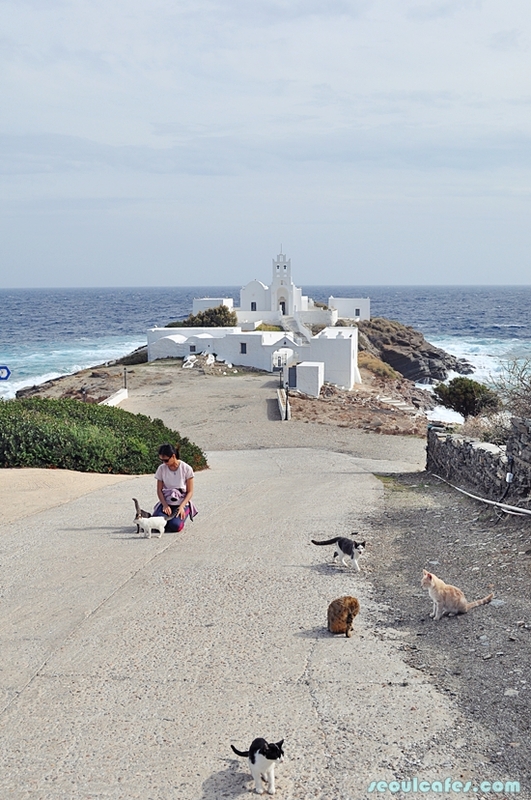 My husband and I has given Sifnos another name, "the cat island". 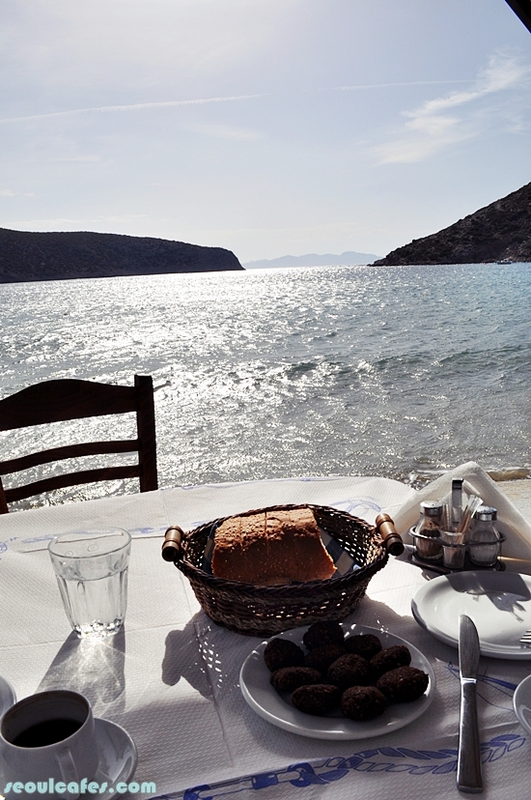 lunch at the town called, "Vathy"
The more popular Greek islands are Santorini and Crete. However, we decided to go somewhere opposite of "popular" to avoid the crowd and the tourist scene. We got what we asked for. We were the only visible tourist lingering around the island. We were also the only guests at the villa we were staying in the town called, Apollonia (the capital of the island). It was perfect. It felt as if we owned the whole island all to ourselves. The island is small and quaint making it possible to walk the whole island in one day (so they say). However, the best way we got to see the island was by a scooter. We wanted to rent one on the first day, however, the dealers were all closed (many shops were closed bc of off season), so we had to wait until our last day on the island. It's too bad we didn't get the scooter any earlier. We saw so many beautiful sites, but we were just at awe of the beauty of the island itself. 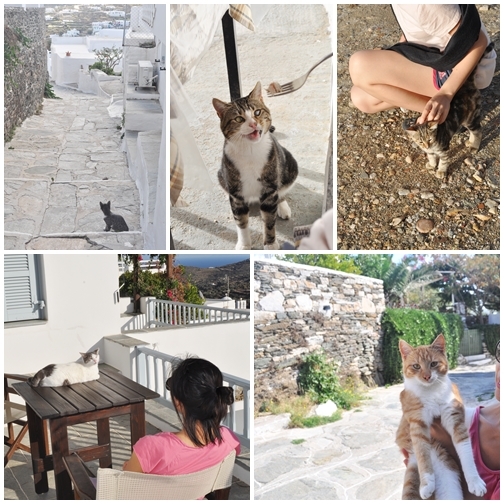 Sifnos had everything from the blue sea, majestic mountains, quiet beaches, colorful flowers, beautiful nature, friendly locals..and cats. I could go on and on. It's too bad I'm not very good at describing it to do it any justice. 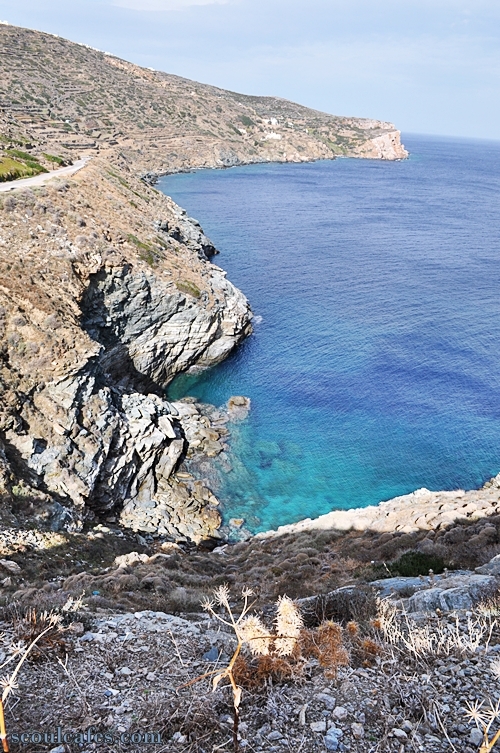 One of our accomplishments on the island was the semi-hiking that we didn't expect to do to reach the town of Kastro. It was only a town next to where we were staying, so I thought it was going to be a nice stroll. I under estimated the effort to get there. I measured the distance on Google Earth as 1 mile (easy enough I thought to myself! ), but didn't count in the hills, which does not measure to 1 mile. Our silly jeans wear for that particular day was not appropriate either. We walked up hills and walked and walked and found a short cut (which delighted us!) to get there. 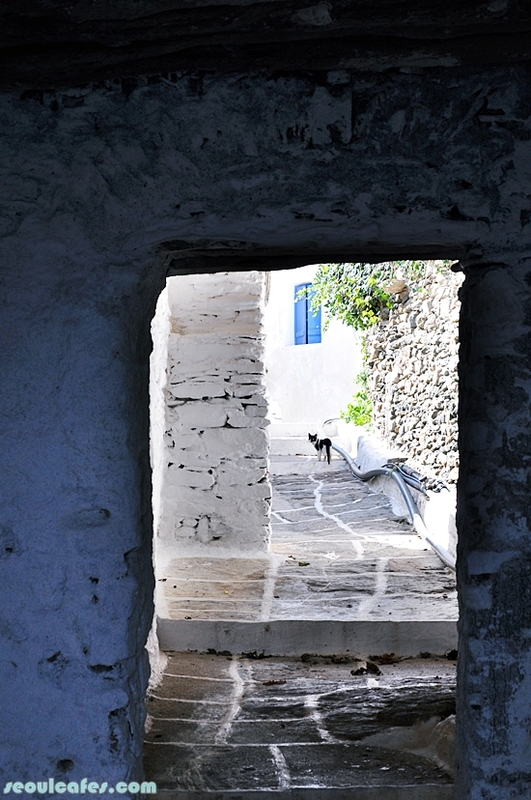 After a few rests in between our unpredicted "morning hike", we were eventually at the town of Kastro. Seeing the beautiful lone church made it all worth it. 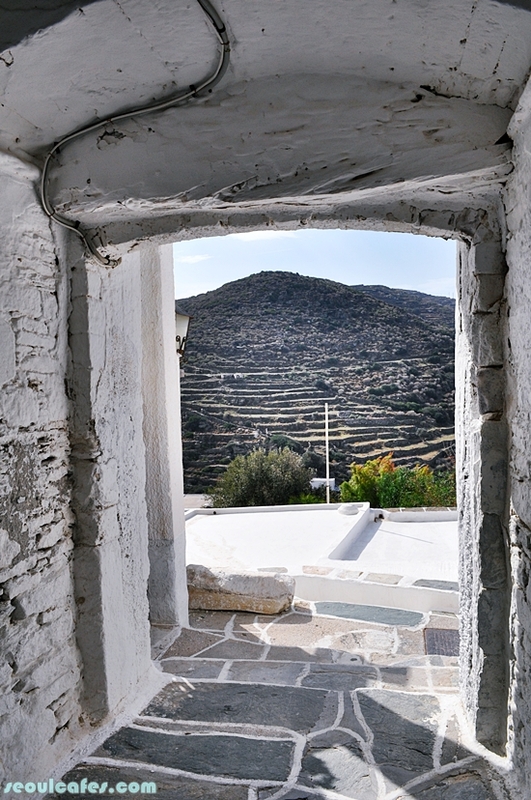 The town of Kastro is the daintiest from all the other towns on the island. 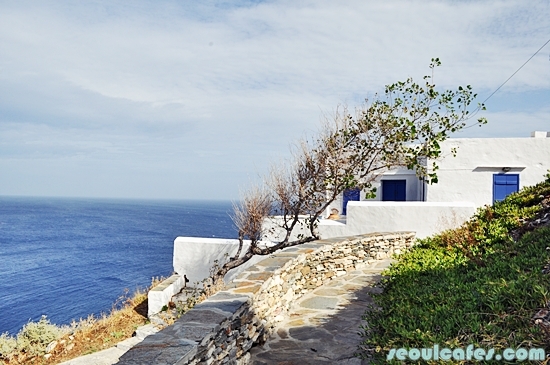 It sits on top of the hill and over looks a magnificent view of the hills and the blue sea. We walked through the small alley ways and only came across 2 residents and a handful of cats. There were so many impressive sights on the island. The scooter helped us get away quicker than walking. We reached Chrissopigi with our scooter. It is famous for the white church (below). It is not as small as the church in Kastro, but magnificent indeed. As we were checking out the cute cafe(off season & closed) near the church, my husband came across a sea of cats that appeared out of no where (I guess they were behind the wall waiting for us~)! It was just breath taking. So many beautiful friendly cats came out to welcome us. I couldn't help wanting to pet everyone one of them. We were over joyed with all the kitty love. I've never met such needy cats that actually wanted cuddles and attention. Most of the cats were healthy and clean. I couldn't help but pick them up and snuggle them! Simple and healthy. My husband's favorite were the chickpea balls and chickpea soup, which are their specialty. I enjoyed the overall pureness of the food. 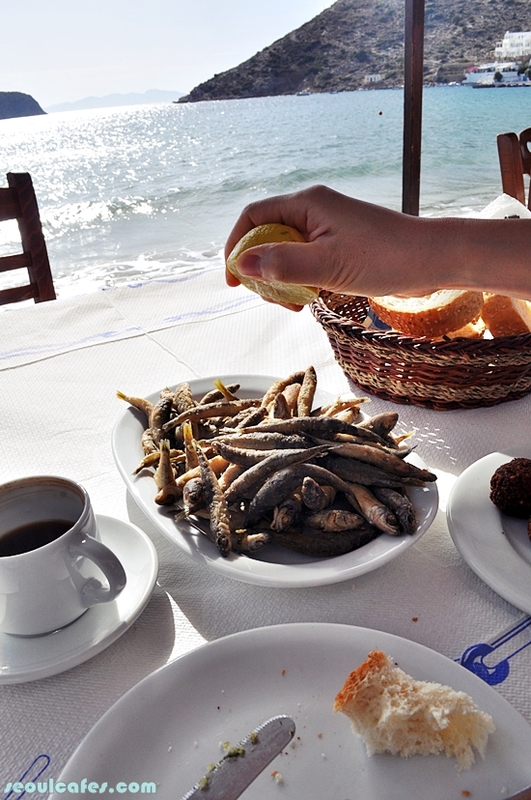 I loved the small fried fish. Everything was so fresh and healthy. 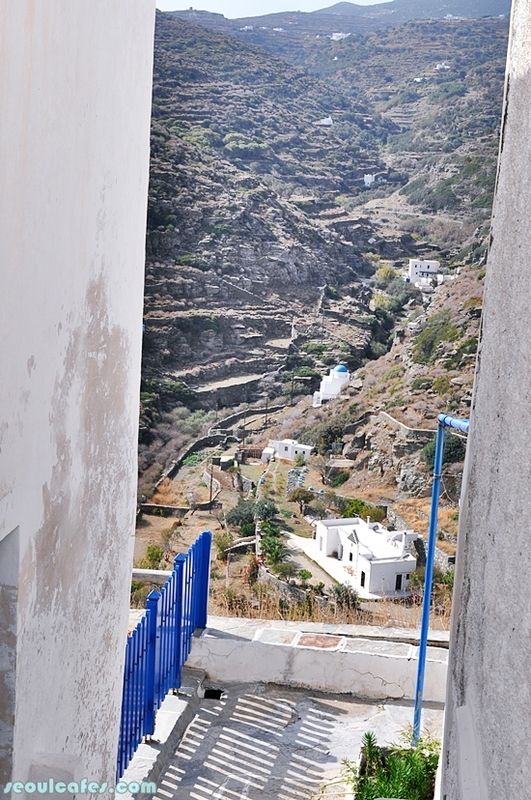 Ahhh, Sifnos was perfect! 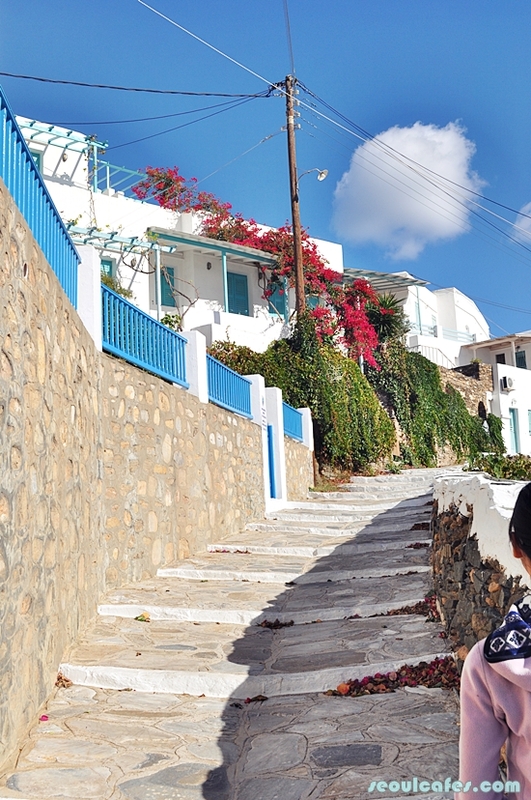 After the perfect island retreat, we headed back to Athens. We spent a great deal just hanging around the city after touring most of the sights. The Parthenon was breath taking. I had no idea how marvelous it really is... My husband and I spent some time just sitting on the bottom of the Parthenon to take it all in. So much great energy just being there. The neighborhood we stayed in Athens is called Kolonaki. I would highly recommend it if you're staying in Athens. 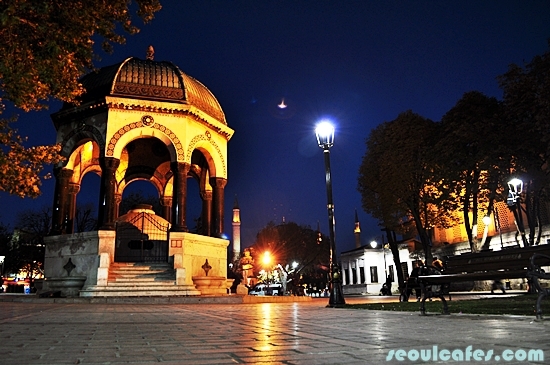 It is a very safe neighborhood with posh cafes and restaurants, mostly for the locals. 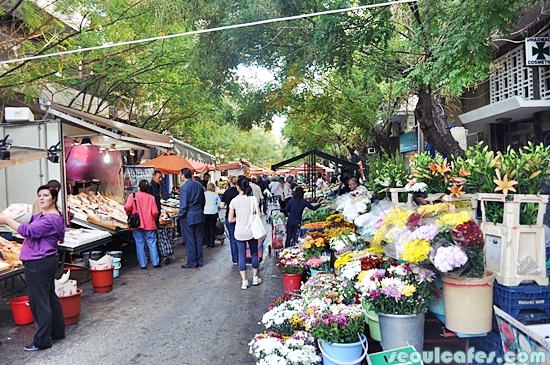 It is about a 10 minutes walk from the Syntagma Square. We definitely had enough "free" days to just wander around the neighborhood and the city. We caught ourselves off guard when a farmer's market just a block behind our hotel stopped us from our hike up the L. Hill. I got some great looking pomegranates and managed to skip the hike and eat the fruit instead - then we went off for lunch. Luckily, we didn't come across any negativity or strikes in the city that hindered our plans. We were very lucky, because planned strikes happened as we were leaving Greece - whew! The people in Athens were super friendly. How the media portrays Greece as a country is not fair. We never had a problem getting around - everyone spoke good English. Saying goodbye to Athens was a bit sad. We almost made it our home. After being there for almost a week, we thought we were never going to leave. 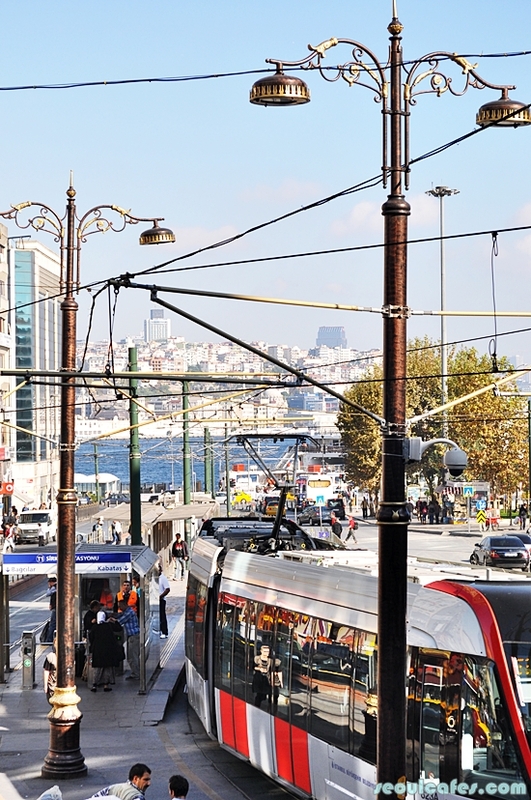 It's as powerful as the movies portrays the city. There's so much to see and eat. So many cats to pet, too! 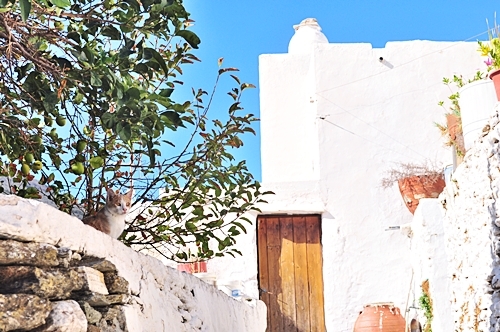 I couldn't believe how many cats were freely wandering around and the locals adored them! I've never seen so many grown men play with cats the way they did. They loved their kitty cats! The city has so much energy. People everywhere. Cars everywhere. It is definitely a busy city. The tram was nice and simple to use. But we did a lot of walking. We got to see some amazing sights. But after all the sight seeing, we enjoyed days just sitting in the park - people watching & cat watching is always fun. 3 full days was not enough! We can't wait to go back for a culinary tour! 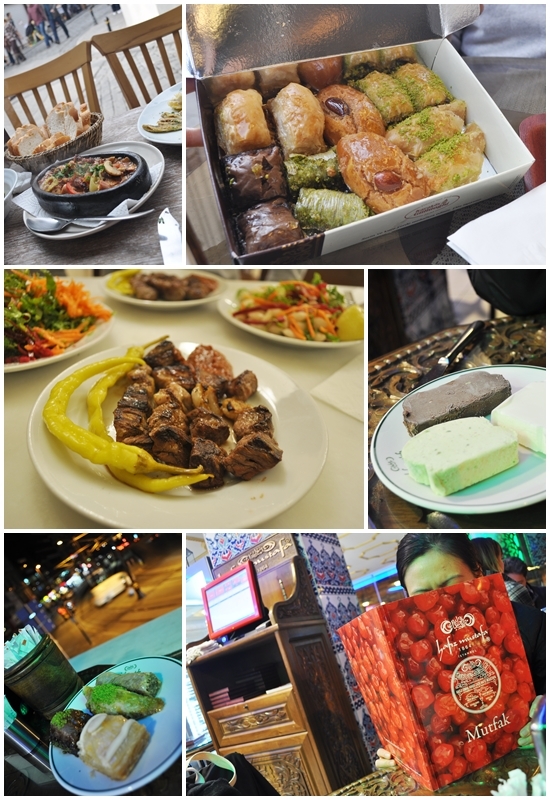 We had a share of baklavas and koftes - but we can't wait to try more food outside of the ordinary. 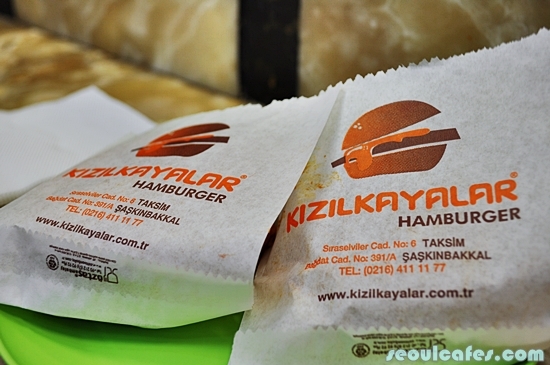 One of the best eats in Istanbul was the "wet burger" we encountered on the very last day! It's too bad we didn't eat it any sooner. 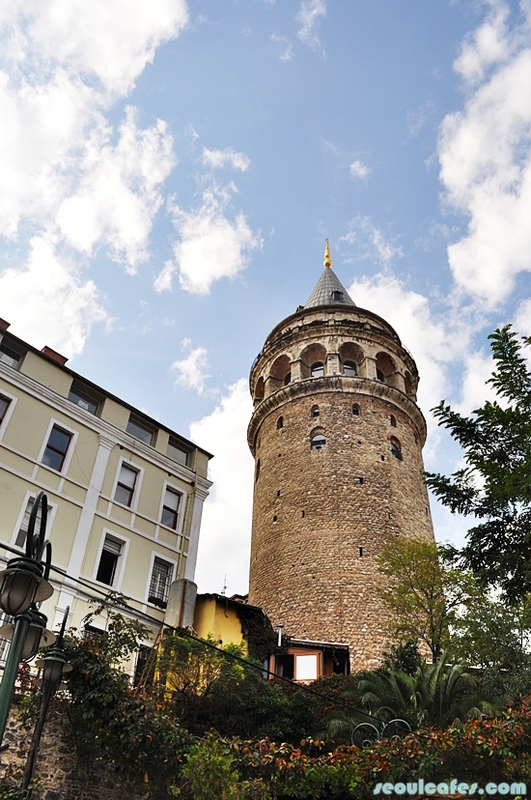 Also featured in Anthony Bourdain's "Istanbul" episode, we managed to grab 4 burgers, but it wasn't enough! At the end of the day, we were still craving for it (and still do till this day). The buns were soaked in some special sauce of spice I can't make out. 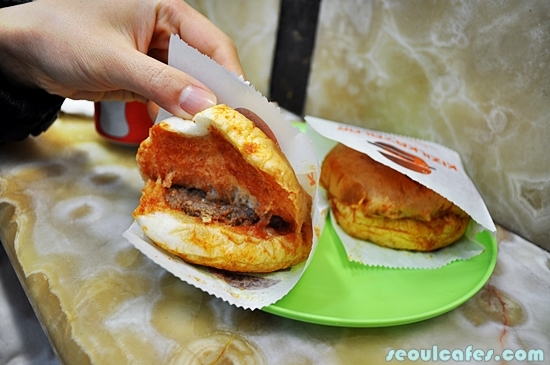 The meat patty is well seasoned and yummy! 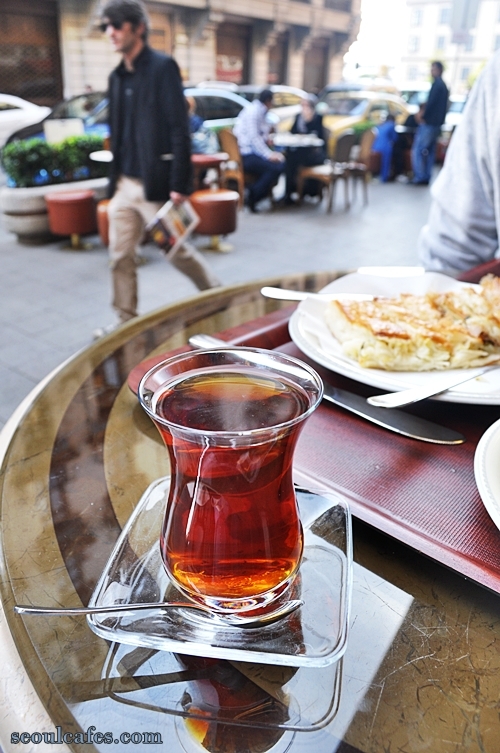 It doesn't look as appetizing as it sounds, but you have to give it a try when in Istanbul. 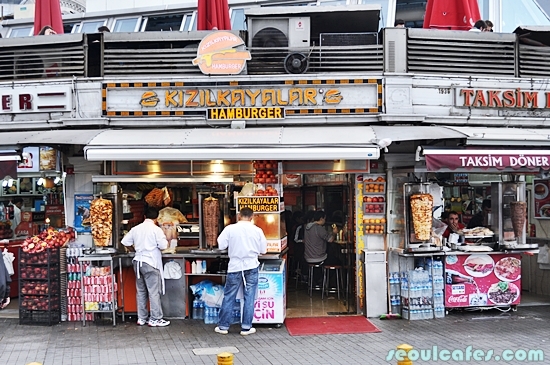 This "wet burger" is located in Taksim square. So much to eat and see! I miss having to decide on what food to eat for the next hour - and having only that to mind. Life is good when it's simple.